Where Reality & Fantasy Get Confused : (Everything's Bigger In Texas) Excerpt From "Instinct"
(Everything's Bigger In Texas) Excerpt From "Instinct"
"Moving away would include uprooting my wife and kids, and taking my mother with us after she had lived over six decades in the same area. We would be leaving the small--town warmth of our cocooned community and launching out on new wings.But would we fly? Or flutter momentarily before crashing to the ground? It was a huge risk, but I had to take it. I had to leave my cage. Not only did I feel God's prompting to make the move, but something deep inside me knew it was where I belonged-even if I didn't exactly know why. Needless to say, I have never regretted my decision to follow my instincts and move to Dallas. No, instead I discovered that my move was not just an open door to me but was in fact the intersection of the destiny of thousands if not millions of others whose lives would forever be changed, all predicted upon me releasing my fear and mustering the courage to be stretched beyond my comfort." 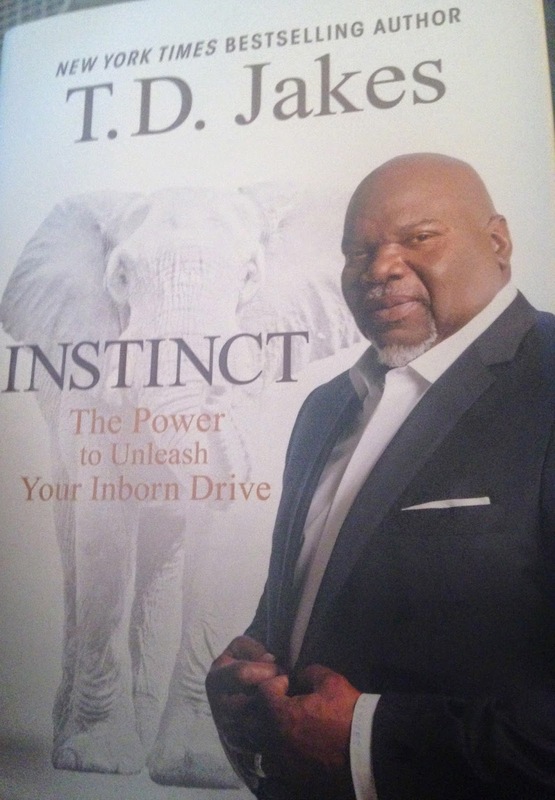 Excerpt from Instinct, The Power To Release Your Inborn Drive by Bishop T.D. Jakes. Do you have this feeling that is leading you to believe you can be more successful somewhere else? You spend 8 hours working and then at least 5 more hours working away from the job. Maybe it's not about work specifically. Your life may have hit a stand-still and you just can't move forward staying in the same place. Its time to go and grow. Lately I've been practicing being a little less scared. I'm trying to accept debt into my life more. No one ever became successful by not spending any money towards their goals. I'm trying to visualize where I want to be, so it can become easier to plan getting there. That means not listening to parents or other people when they ask why and say discouraging words. The ones with the most discouragement never have the answers to what direction you should go in anyway. I can already feel the difference a mindset makes. Two piercing ideas here: leaving the cage, and limiting fear's grip on life. It is truly beautiful that you are experiencing the difference of a mindshift. That sounds like growth to me!